Mother's Day is just around the corner and if you like to treat your mom with something special, a hilarious movie Mother's Day is coming to theaters across Canada on April 29th. 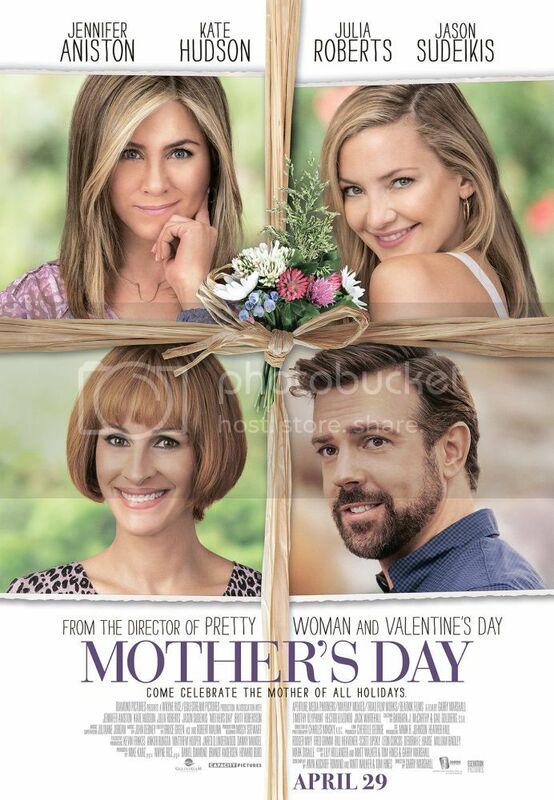 Bringing together all stars ensemble cast that includes Jennifer Aniston, Kate Hudson, Julia Roberts, and Jason Sudeikis, and directed by Garry Marshall (Pretty Woman, Valentine's Day), Mother's Day movie is a celebration of mothers everywhere. The film tells stories of different moms and how their lives become connected when Mother's Day is approaching. I am looking forward to the movie release and after watching a trailer I want to see it even more. It is not surprising that Kate Hudson plays yoga/fitness instructor, and two never-aging ladies Jennifer Aniston and Julia Roberts, they have to share how they do it all. 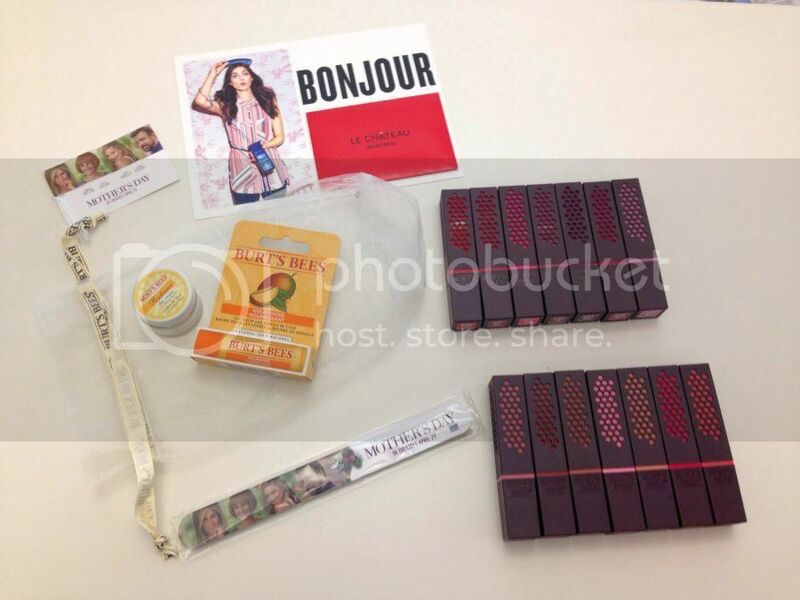 One prize pack ($200 value) which includes all 14 shades of Burt's Bees 100% natural lipstick line and $50 gift card to Le Chateau. The giveaway is open to Canadian residents and ends April 25, 2016. Simply fill the Rafflecopter form below and state if you are interested in attending Toronto screening (for tickets prize). Good Luck! I love Garry Marshall movies. Can't wait to see this one. So many great actors in it. It looks fabulous. My favorite thing to do on mother's day is to spend a quiet day with my son. Last year, we had a little picnic at our local park and it was a great day! I treat myself to a special coffee and a sweet treat to share. I celebrate Mother's day by taking out my mom for lunch and then shopping. Dinner and a movie would be a good celebration! i like having a nice meal with my mom on mother's day ! I would love it to facetime with my daughter who lives out of country! Always great seeing the grand-kids & spending time with my daughter! I love to celebrate Mother's Day with my mom and my family by going out for lunch! We celebrate mother's day by taking my wife, mom and mother in law for a brunch with the kids. I would love to celebrate Mother's Day with my husband, daughter and grandson. We're undecided, but probably going out with the family. Going out for dinner with my momma! Thanks! I would love breakfast in bed and then a quiet day. Go out for icecream sometimes maybe. I would love to celebrate mothers day with my husband and two daughters. Out to a movie or bowling together. I would love to do a fun activity with my kids and hubby! I would like to celebrate my mom by having a special lunch for her. We would like to celebrate mother's day by eating out for breakfast and then having a lovely family day at the beach. I would love to celebrate with a Lobster Dinner. That is my yearly treat. I hope that my family and I will enjoy a nice meal out together. I would love to spend the with my family, going on a hike or just going for a walk on the beach. I am taking my mom to an all day spa followed by a high tea in the afternoon! I will be taking my mom out to dinner for Mother's Day! I'm not in Toronto, so not interested in the screening. We don't do anything for Mother's Day. My husband doesn't "believe" in it. My sister, daughter & I take my mom out for lunch and shopping for new spring shoes! I would love to attend the screening in Toronto. Would love to go out for brunch with my mom, hubbie & kids. Since it is also my 20th wedding anniversary I will celebrate Mothers' Day with my Family. I would take my wife out for supper and a movie. I'd love to celebrate Mothers day at the spa! I would like to celebrate with my kids. I just want to see their faces, all I need. Treating my best friend to lunch. An appropol comedy for Mother's day. I'm planning to celebrate Mother's Day starting with a day of spa and cooking her a meal of her fave foods with love! I'll definitely get breakfast made for me and we'll either have a barbecue (weather permitting) or go out for dinner. I'm taking my mom to see it already! I have an admit two movie pass ready & waiting! I want to spend Mother's Day at home, have the family make the meals and chores for the day! I would love to spend Mother's Day with my mom and my kids but this year I will flying away for a business trip so we will not be together for the first time ever! :-( If I were home we would spend the day plant shopping for the garden, then have a family dinner in the evening. Moms are the best. Treat them well. I would love to have a Big BBQ with the Fam Jam! A family dinner would be lovely! I would like to celebrate Mother's Day by taking my mom on a spa date in the afternoon and then joining up with my father and brother for a nice family dinner!